One of the first things you notice is the gas price. 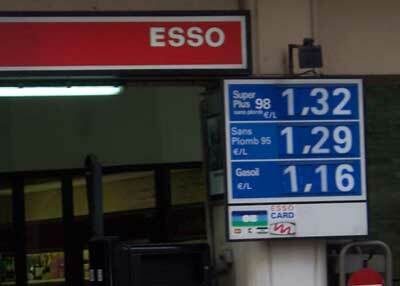 At first, 1.16 sounds pretty good, until you realize that is euros per liter. That translates to $5.80 per gallon. Ouch! 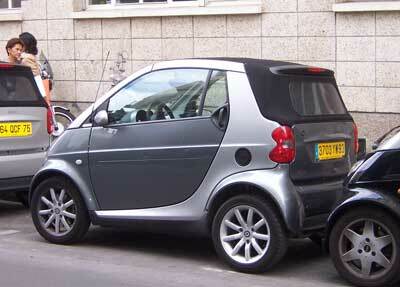 The same store had this car. 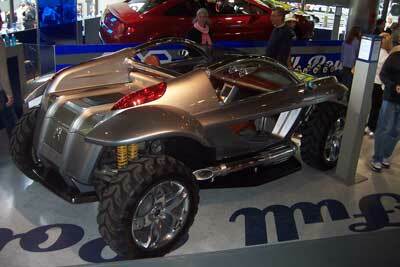 Kind of like a 2 wheel convertible hummer, or something. 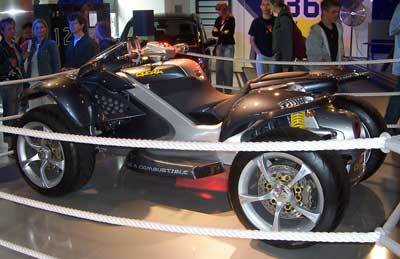 Whatever it was, I lusted after it. 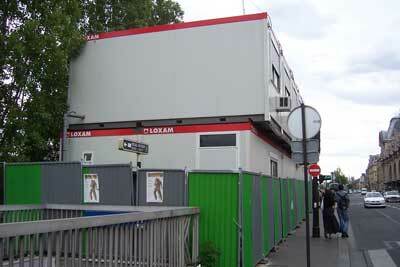 There was lots of construction all over Paris, and every site they had a stack of these modular office buildings. In many cases, they were on stilts above the road or sidewalk, so, unlike say in NY or Seattle, construction on a building does not have to close lanes of traffic. Seemed like a good idea, though in several places they seemed to have succumbed to the temptation, given Paris real estate prices, to make the office more permanent than temporary. This is why you don't go to Paris in July. 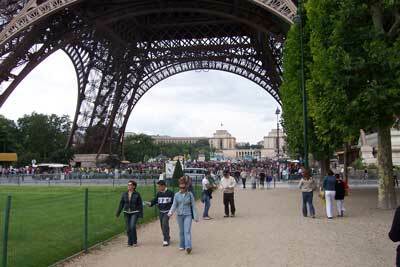 Its hard to tell, but that whole line in the background was for the elevator up the Eiffel tower. I was told there was a 2+ hour wait. As I wrote before, you get used to waits in France. Oddly (or not so oddly once you get used to the French way) several of the elevators were closed on one of the busiest days of the year. The good news: Only 5 minutes wait for the stairs. Finally, the moment you have all been waiting for, the restaurant bill from hell. As I wrote in my earlier post, we wanted one night at a really fancy French restaurant. Carre des Feuillants fit the bill, with a moderately famous Michelin 2-star chef. 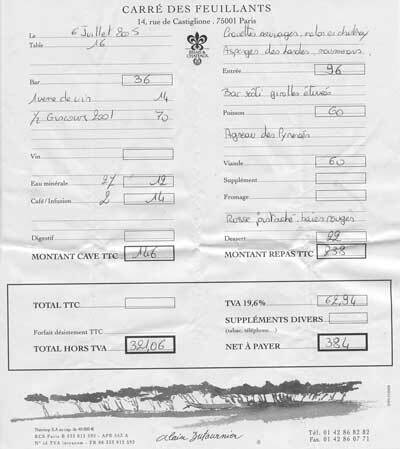 I was more embarrassed than shocked when I found that we had paid 386 euros, or nearly $500 for a two-person meal. Thank goodness we split a desert! Needless to say this is an absurd and hopefully never repeated amount to pay for a single dinner. We'll be forwarding the original to Bank of America as part of our loan application to pay the dinner off over time. One last note - if you are looking for where to stay in Paris, I highly recommend the Tuilleries Garden area, if you can find a hotel at a reasonable price. Our hotel was dead in the middle of everything and we were able to walk to every single place we wanted to go save for one dinner. And when walking fails, the Paris Metro is ubiquitous. I certainly hope your photo selection is tongue-in-cheek, because otherwise one might get the impression that an American in Paris only cares about materialism and car culture. got some really good info in your blog.